The latest version of our FREE 360-HQ Xbox LIVE Desktop Gadget is now available for download. Registered 360-HQ.COM members can now make their selection from over 15 different Xbox LIVE gamercard styles to display on their desktop. 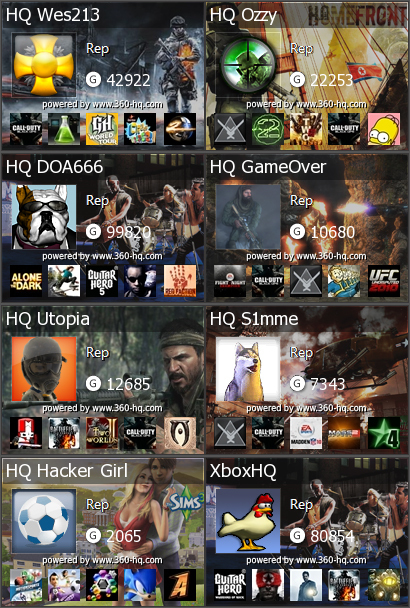 If you're not already a HQ member sign up for free and get your gamerscore tracked! 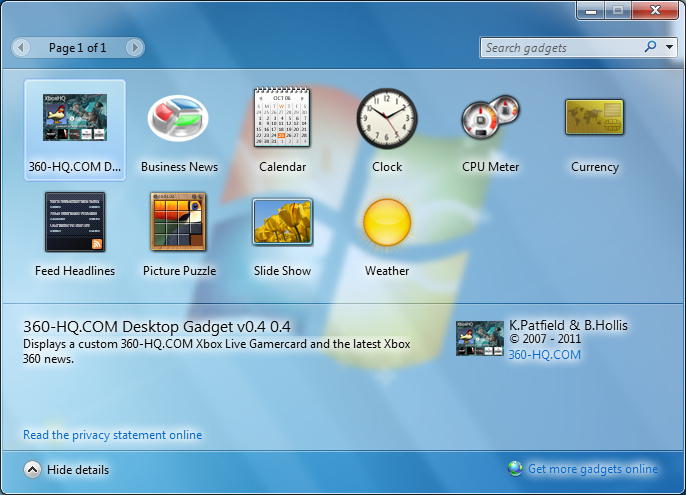 The 360-HQ.COM Desktop Gadget for Windows 7 and Windows VISTA allows you to embed one of our custom Xbox LIVE Gamercards directly on your desktop/sidebar. The newest version (v0.4) now features the latest Xbox 360 News. 2. 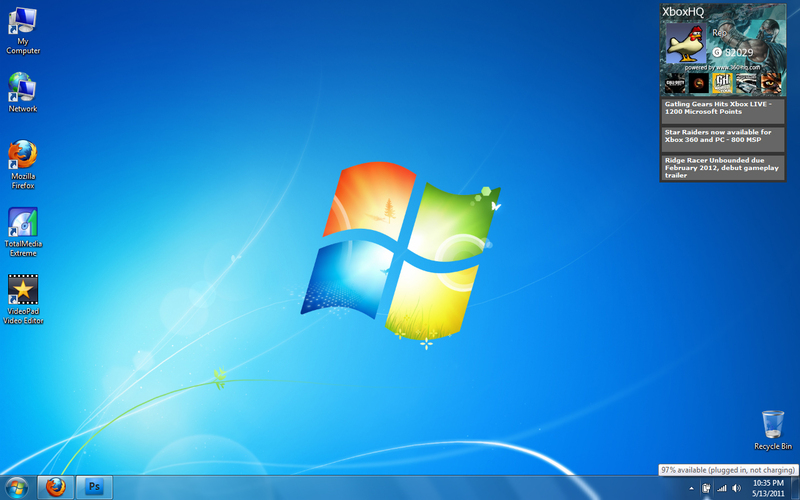 Unzip the Desktop Gadget onto your desktop using winzip or winrar. 3. Double click the .gadget installer to start the install. 7. Now choose the style of Xbox LIVE Gamercard to display. Just remember, if you don't like our desktop gadget you can easily uninstall it at anytime. Our new Xbox LIVE Gamercards can be embedded anywhere you like and are updated constantly. 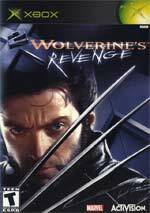 As with all mutants, Wolverine has unique abilities that set him apart from the rest of humanity â€“ deadly claws to defeat the greatest of foes, animal-like super senses to assist in tracking enemies..